2. Choose a good friend that has shared your life in the last few years. A childhood friend might have lost touch with who you have become lately. 3. 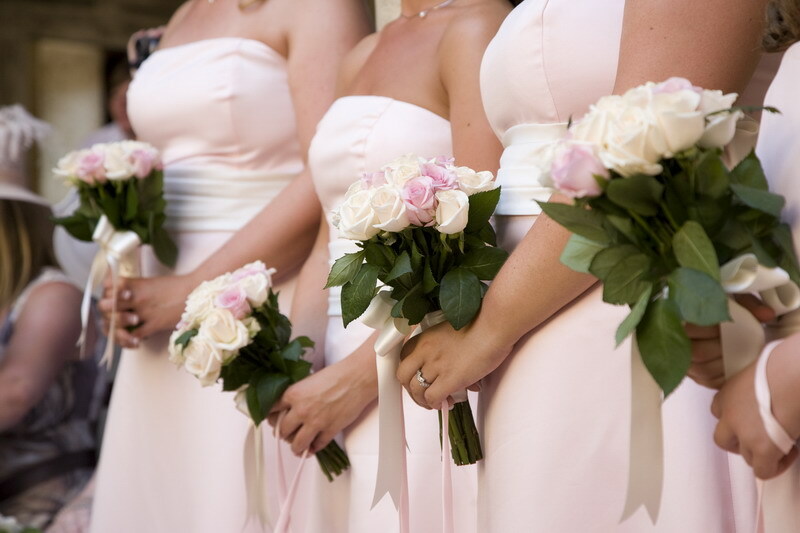 Choose a bridesmaid who can support you on the wedding and deal with any problem that might come up. 5. Bridesmaids are there to help you so delegate! Siena has the power to transport its visitors into a different time and dimension. Its boundary walls, the palaces, the air that you breath will make you relive the glory of its past history. Who wouldn’t want to enjoy the unique landscape made of rolling hills, vineyards and cypress trees that surround this enchanting medieval town ? No wonder this is one of the most sought after places for weddings. The heart of the city is represented by the famous Piazza del Campo where the palio race takes place twice a year. Adjacent to the piazza rises Palazzo Pubblico, Siena town hall building which dates back to 13th century. The wedding hall inside the Palazzo is a splendid Renaissance room with frescoes, high ceiling and big windows overlooking Piazza del campo. Definitely a unique surrounding to mark such an important step in anybody’s life! The title reminds me of a Frank Sinatra’s song ” Love and marriage go together like horse and carriage. You can’t have one without the other”. 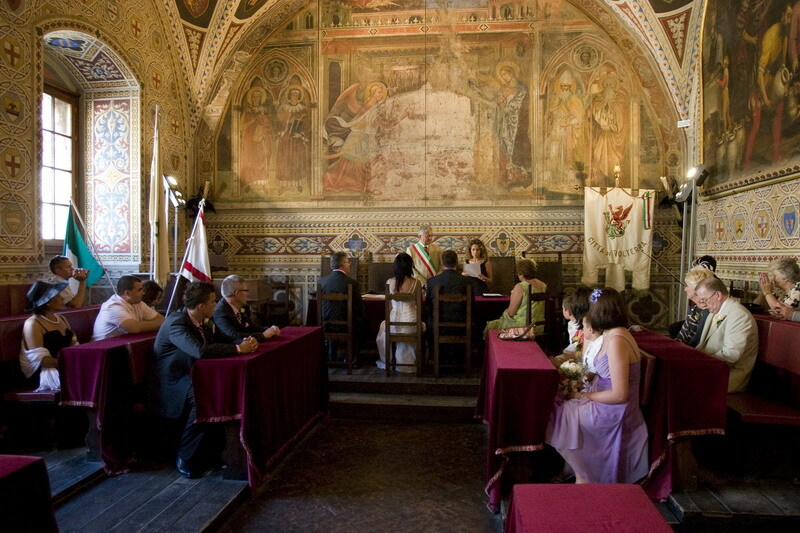 This is probably why increasingly more and more people are choosing Tuscany to tie the knot. 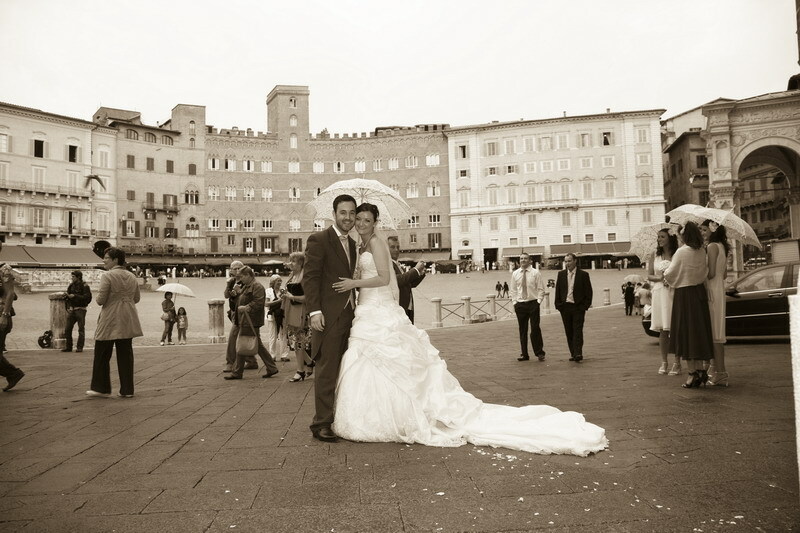 Tuscany’s scenery and atmosphere, treasure and elegance, Tuscan food and wine put a 5 stars rating for a perfect marriage. If you know anybody who got married in this amazing part of the world will certainly be able to confirm all of the above. The beauty of its venues, the magnificent Tuscan Town Halls all unique in their architecture, the simplicity and flavour of its food and wine, the friendliness of its people have become Tuscany’s trade mark and top 4 reason for getting married here.. And as Italian say in their unique modest way .. ” Scusate se è poco “ We apologise if this is not enough !